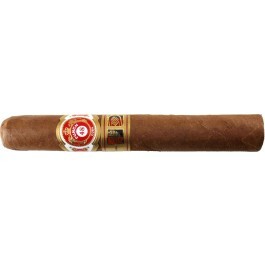 The Punch Punch 48 LCDH is a medium Grand Corona with balanced flavors, 48 ring gauge, 5.5” (140mm) long and comes in a box 10 cigars. • Great potential for aging. The Punch Punch 48 sports the newly released band that is designed for products exclusively available at La Casa Del Habanos shops and at Habanos Specialists. The wrapper has a nice reddish brown tone, overall the wrapper looks rustic and is slightly rough to the touch. Once clipped, the draw is firm and gives some faint hints of cedar and leaves some saltiness on the lips. After few puffs, the draw opens up and is not an issue for the rest of the cigar. 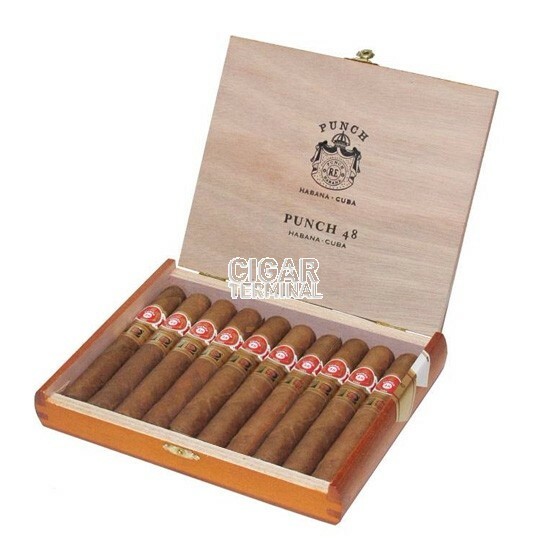 The Punch Punch 48 smokes well, does not require any touch-ups. The Punch Punch 48 starts off slowly, with overall light flavors, mainly wood, cinnamon and some grassy hints. The body is at the light mark. In the middle third, the Punch Punch offers more flavors, and starts to show its Punch character. The flavors of wood are more noticeable and mixes up with some fresh notes of mint and other plants. Some spices also join the mix. The flavors are overall very well balanced and makes this second third very enjoyable. Some bitterness also appears and keep the Punch Punch 48 interesting. The strength remains just shy of the middle mark. The strength finally picks up in the final third, the Punch Punch 48 reaches is now at a medium level. It also reveals its young age as the bitterness intensifies but does not prevent a nice smoking experience. The flavors profile is still well balanced, with an intense combination of wood and fresh herbs, in a true Punch finish. In summary, while still a young cigar, the Punch Punch 48 will surely deliver an incredible smoking experience after few years of ageing.